Egg, Mayonaise, Ham and Cress Sarnie? Baseball is one of the authentic American establishments that goes with BBQ and Apple Pie. It is America's pastime and always will be, even with the emergence of the NFL and the rise of a fast paced society that has pushed baseball aside time after time. Baseball is why I love summer, it is what reminds me of my favorite times in life, and it is one of the central ties to me and my dad. When I was younger and still living under the hoop of my basketball goal at 10 S.W. 14th Street, I remember warm summer nights as the sun would go down, the smell of the grill and the sound of Marty and Joe on the small transistor radio my dad would leave at the top of the steps on the deck. On the beat down grass that turned to dirt by the time August came around by that goal me and my dad would play basketball while my mom finished up dinner at the sink that left her viewable to us in the back yard. Baseball was there at that time and as a young kid I didn't realize that it was essential to those summer nights and times with family. Now, I think, Baseball has become very important to me because of these memories and because of the love my dad shared with the game and the little transistor that his grandpa had. Times are a changin' now and I am spending my summer in Muncie, attending classes and working for The Star Press. But, there will still be nights at home this summer with basketball in the backyard, dad minding the meat on the grill, mom finishing up dinner in the kitchen and the Reds on the radio. Baseball is almost here and the anticipation from this baseball fan has reached epic proportions, similar to the week leading up to Christmas for a 6 year old boy. 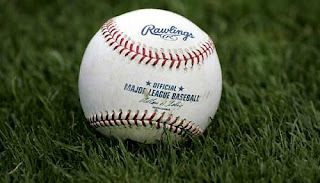 Optimism in Tampa Bay, drama in New York, and sleeplessness in San Francisco in the wake of an interesting Spring Training, leads me and other baseball fans up to the 'real' opening day on March 31. As I've put off mentioning the Cincinnati Reds for nearly three lines, the time has come for my optimism on my team this year. For the first time in my own modern age of really caring about baseball I feel the Reds are going to be a surprise team. And although they play in a cracker box, the pitching staff COULD overcome its home surroundings and be one of the best in the league. With the emergence of Johnny Cueto and his potential as a frontline starter, which I projected in the middle of last year, the Reds have a legitimate pitching prospect that LOOKS like a young Pedro Martinez, according to a number of reputable sources. And while Josh Hamilton is absolutely raking like no one in history, Edinson Volquez has looked every bit of what the Reds were hoping for when they traded Hamilton. Volquez has continued to look like a front of the rotation starter, with nearly a 7/1 SO to BB ratio and having given up only 6 earned runs all of Spring Training. As if that wasn't enough the bullpen looks much better, according to more reputable sources including Hal McCoy, Jon Fay and Jayson Stark. The addition of Francisco Cordero has legitimized the closer's spot and pushed David Weathers back to his true role as setup man, despite 33 saves last year. The move, although extremely expensive for a small market team, has some saying that the Reds are really contenders this year just from one move and makes them TRUE players in the division with the Chicago Cubs and Milwaukee Brewers. However, I feel that if the Reds do have 4 legitimate arms in the rotation there will be no contest this year and perhaps in the next few years. The offense has been there for some time waiting on the pitching to catch up and while I don't like Corey Patterson in CF I don't think it will matter come August with this guy waiting in the wings.